Time to update this page! Sad times in Stockolm with a terrorist attack on Friday. The positive thing is that most of the society is coming together more closely than before. As usual during the winter things tend to slow down. Maybe it’s the lack of daylight that drains energy. This was the third winter building and it has started to take it’s toll. It’s been tough going all winter. An opportunity to work abroad turned up so I spent one month in Singapore, one more coming up shortly. Nice to see a new part of the world and get a break from building. So what has happened since the last update then. Two days of wireing has completed the upper floor and the lower is about half finished. Still switches and sockets to go as well as switch box, main incoming wires, sub boxes etc. 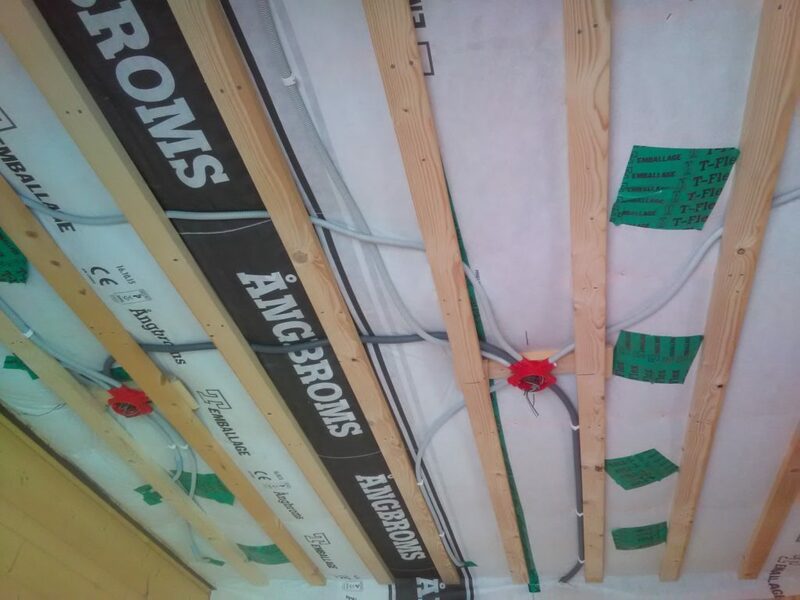 The ceiling has been clad with vapor membrane and then insulated with lose, blown insulation. Made from old newspapers it is blown directly from the lorry. Outer walls wil be done when the electrics are done. 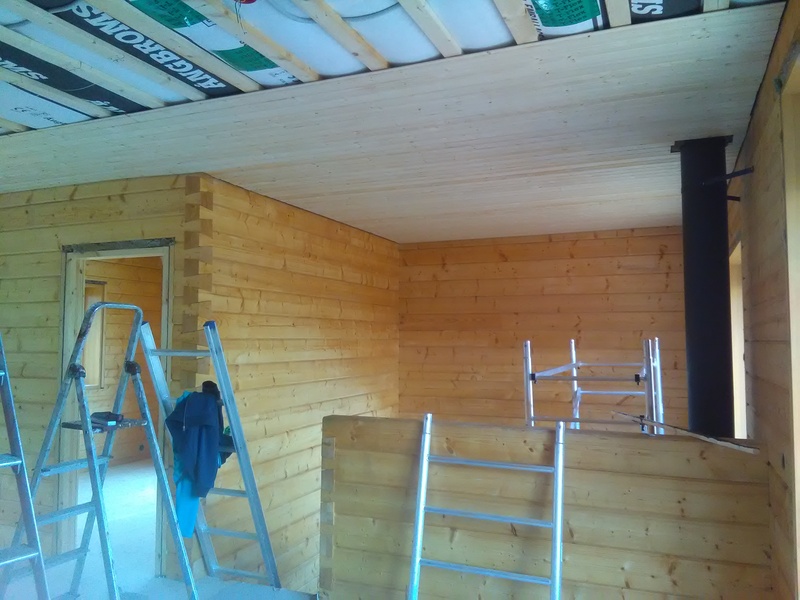 Now we are finally adding the ceiling paneling. 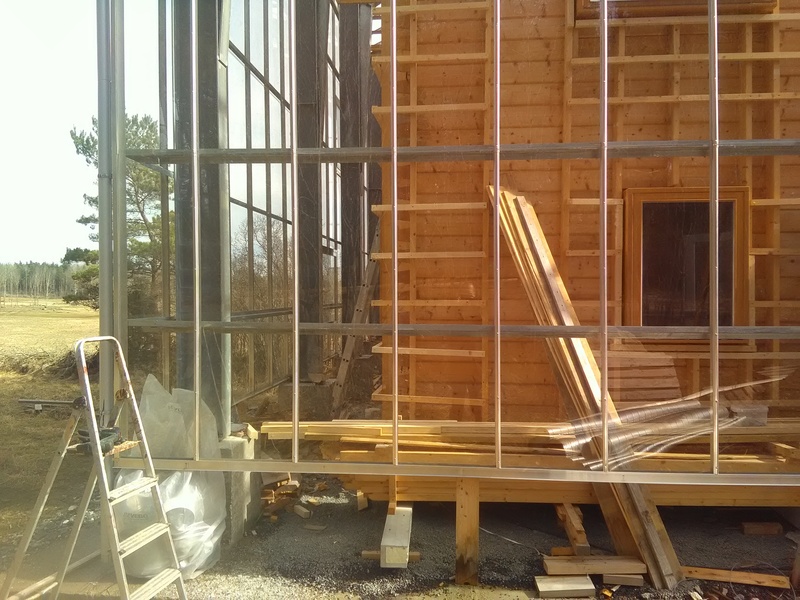 Outside we have started with the frames for the external insulation which will be blown as well. The wood burning, water jacket stove has been installed and the chimney tested. Nice to get some heat. It’s an interesting stove from Aquaflam, Vario Barma, where the water jacket can be replaced so it works like a normal wood burning stove. Good since it will take a long time until the all the water heating can be installed. One of the pumps for the recycling system broke down and had to be replaced. Running fine again now and provides the looping final stage of the recycling system as well as a stream in the greenhouse. 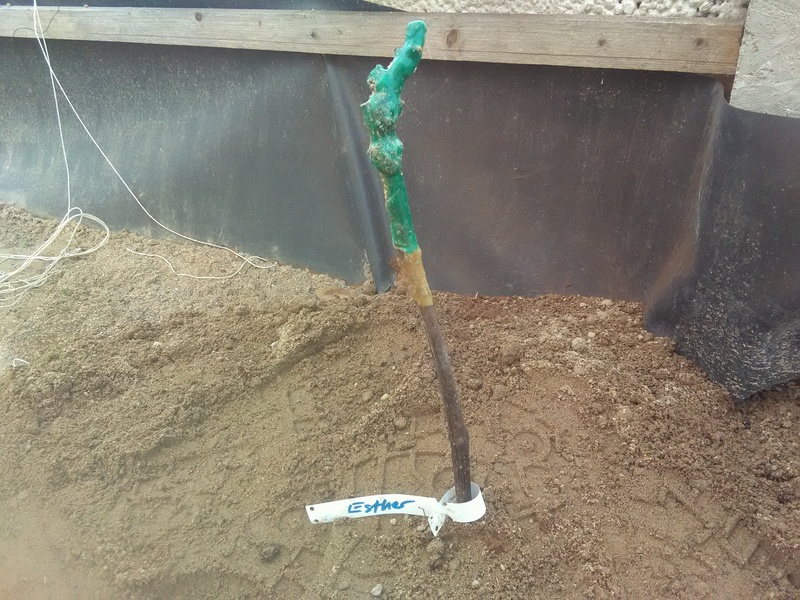 Planted the first three grapes which we ordered from vinplantan.se. Some fun eating grapes varieties. It will take a few years for them to give grapes but they have already started sprouting. 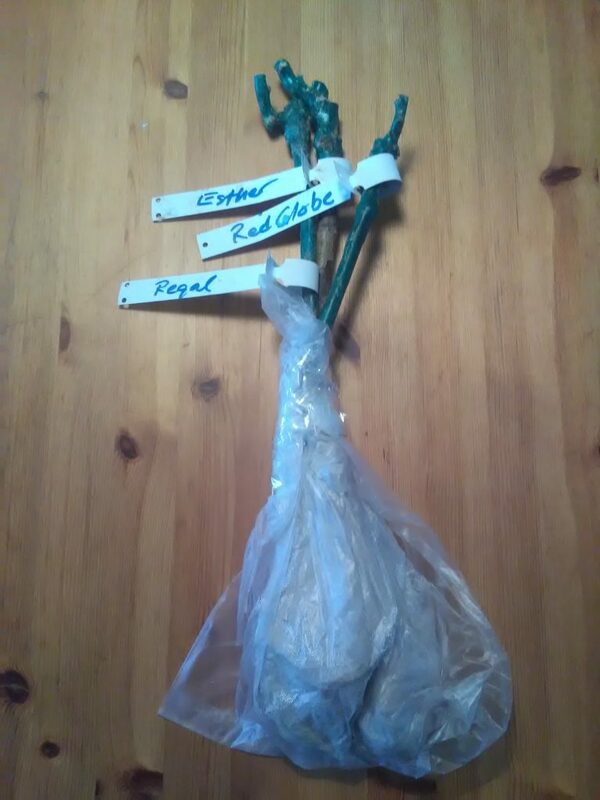 Strawberry plants from last year are sprouting.